The VMS 3 is a magnetic cartridge with spherical diamond. The robust design and low compliance of this model make it suitable for mounting on the higher mass tonearms on the market and it is the ideal cartridge to use in all smaller music centres. For easy mounting, the VMS 3 is also available in headshells. There are currently no downloads available for this model. If you have any documentation for the VMS 3 please consider donating a copy to our free archive. 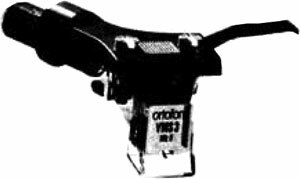 Ortofon VMS 3 / VMS3 owners manual, service manuals and schematics are for reference only and the Vinyl Engine bears no responsibility for errors or other inaccuracies. The PDF files are provided under strict licence. Reproduction without prior permission or for financial gain is strictly prohibited. This website is not affiliated with or sponsored by Ortofon.